Google has been at the forefront of lightweight apps and low-end phones with the Android Go program. But even though the Go version of apps help you save space, they can sometimes lack features. One of the major apps that had this drawback was Google Maps Go, but Google has fixed it to some extent today. Google Maps Go lacked navigation. You could search for places nearby or see the distance between your work and home locations, but you couldn’t navigate between the two. Google has quietly released a new companion app for Google Maps Go called ‘Navigation for Google Maps Go‘ to make it simpler for Android Go users to get turn-by-turn directions. Previously, when you wanted to get ‘turn-by-turn directions by tapping on the ‘Navigate’ button at the bottom right, it transferred you to the official Google Maps app installed on your device. Google Maps Go couldn’t do the navigation for you and well, it still can’t but the app no longer relies on the official app (which is a huge 132MB in size). 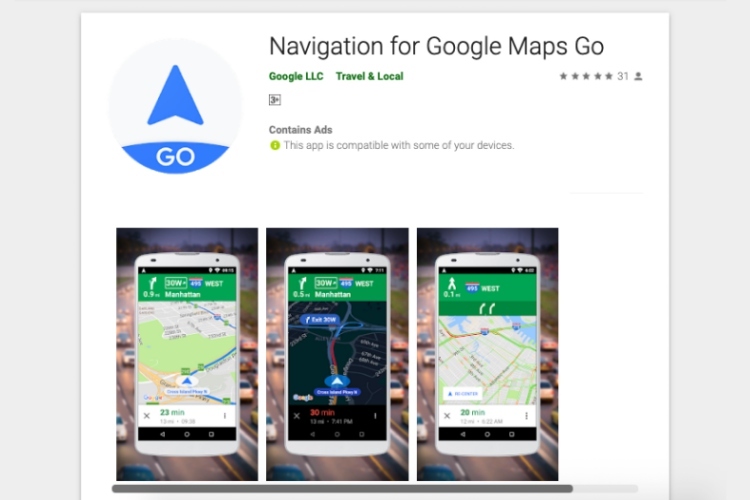 The aptly-named navigation app, which takes just 28.65MB upon installation falls in line with the Android Go standards and brings the navigation features we had been rebuking Google to add to Maps Go ever since its launch. 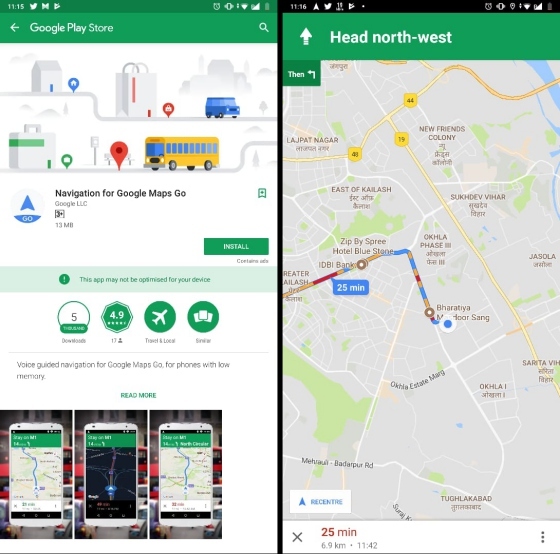 Now, when you open Google Maps Go, search for a destination and tap on the ‘Navigate’ option, you’re not directed to the official Maps app but instead to a Play Store listing for ‘Navigation for Google Maps Go’ to get your low-end device all set for navigation. It isn’t visible in the app drawer and you will have to access it via the ‘Apps & notifications’ setting. Navigation in this app looked and worked in a manner exactly the same as the official app. The path you need to follow is colored in blue and you get almost every feature that you expect in this app, but the lack of the voice assistant guiding you through the way is surely felt. 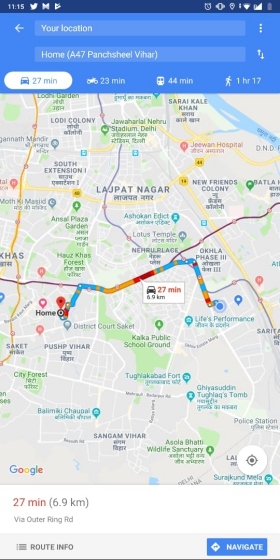 The ‘Navigation for Google Maps Go’ companion app fixes the major pain point for every Maps Go user, who can now get around town without having to wait for the navigation in the official Google Maps app to catch up to them.